The South Korean brand of Kia, part of the Hyundai Group, arrived in the UK in 1991 and after several years establishing the brand they have recorded consecutive record years of sales since 2010. They have tripled their sales since 2007. Last year their record UK new car sales grew by 13.86% to reach an all-time high of 89,364 registrations. For the first five months of this year their sales are up again by 12.5% in a UK market down by 0.56%. So far they have sold 42,678 new cars, well on course to meet their target of 91,000 registrations. The UK is currently Kia’s largest market in Europe and the fourth largest in the World after South Korea, China and the USA. 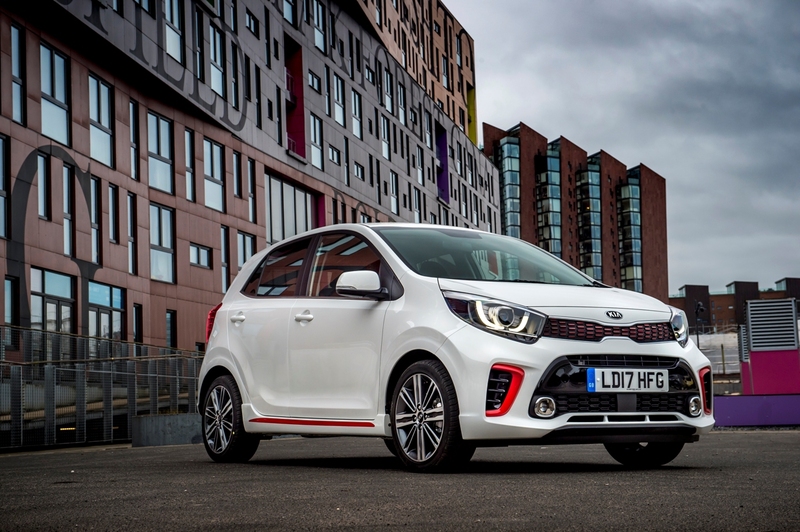 Kia has just introduced their new Picanto City Car range and this year they expect the range to achieve 14,000 sales, almost 1,000 more than last year. The Picanto is Kia’s second highest selling model after their highly popular Sportage mid-sized SUV which last year achieved 42,000 sales, making it the market leader in the 4×4/SUV sector. The cee’d family of mid-sized hatchbacks and estates is their third best selling range with 11,000 sales, followed by the new Rio ‘supermini’ sized hatchbacks with over 9,000 examples sold. Their current line-up also includes the Soul Crossover/MPV, Venga MPV, Carens large MPV, Optima saloon and SW estates and the Sorento large seven-seat SUV. Steve Kitson, Corporate Communications Director, told journalists at this week’s motoring media event, still to be added to their line-up in the near future will be a PHEV plug-in hybrid version of the Optima SW estate, a GT version with a 2.0-litre T-GDI turbo petrol engine and a new version of the Soul electric model with a longer driving range of 150 miles. Just announced this week is their Stonic compact B-segment SUV, a competitor for the Nissan Juke, Renault Captur, Peugeot 2008 and Vauxhall Mokka similar models, which will arrive in October. Steve Kitson also said that the Kia Stinger range flagship five door sports saloon will be introduced in November, with deliveries starting in January 2018. Mr Kitson added that currently the brand has 188 dealers in the UK, and over the next three to four years this could expand to around 200 sales and service outlets as they are looking for more outlets in major towns and cities. He went on to say that currently 54% of their overall UK sales are to retail customers with an equal split between female and male owners and 52% of buyers opt for a diesel powered models, but that is driven by demand for their SUVs. He also advised that 84% of their new cars are bought by customers using some sort of finance plan ranging from PCPs to HP options. He has also seen a drop in the age of their customers; they are now in their high 40s, some 10 years younger than in the earlier years of UK sales. Moving on to the new Picanto, with prices starting from £9,450, he added that overall the new models see an average £300 price increase across the line-up, but this is reflected in the fact that it is an all-new model with a totally new platform and stiffer bodyshell. The model is more refined, with a better driving experience, sharper handling and a more comfortable ride – and the cars now have the latest safety, driver assistance and connectivity functions. 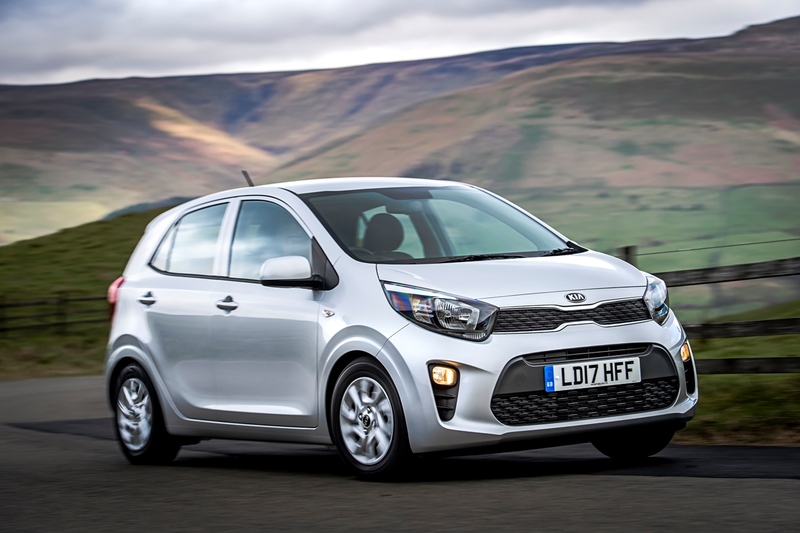 Now in Kia dealerships is the new third generation Picanto City Car, but now only offered in five door form due to the lack of demand for three door cars in this sector. Kia claims the new Picanto is more spacious and more practical, better equipped and with improved handling and ride comfort. The latest connectivity and driver assistance features are part of the new small car’s big features. Prices for the new Picanto start from £9,450 and rise to £13,950, and if customers are quick and order a new one before the end of June this year there is an offer of free motor insurance for up to one year for those customers aged between 21 and 79. Insurance costs are low anyway, with Groups ranging from 4 to 10 depending on the engine and spec level chosen. Currently there are nine versions on offer, based on two multi-point injection petrol engines, two transmissions and five trim levels badged ‘1’, ‘2’, ‘3’, and new sportier styled ‘GT-Line’ and ‘GT-Line S’. The revised current normally aspirated engines are a 1.0 litre 66 bhp three cylinder unit with a five speed manual gearbox and a 1.25 litre, four cylinder 83 bhp unit with five speed manual and four speed auto gearbox choices. These units offer lower fuel consumption of up to 64.2 mpg and lower CO2 emissions down as low as 101 g/km. To come is a turbocharged direct injection T-GDI version of their 1.0 litre engine with 99 bhp and significantly more torque at 172 Nm (127 lb.ft) available from only 1,500 rpm, but prices are yet to be announced. In the UK, A-segment City Car sales where the Picanto traditionally competes, amount to around 130,000 a year and the Picanto has regularly been one of the top five best-selling models. 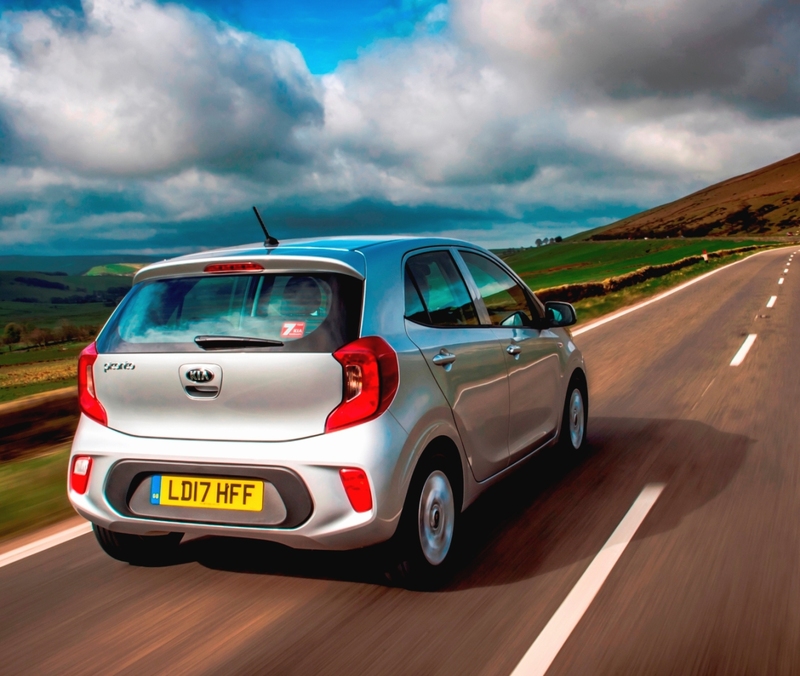 The UK contributes almost a quarter of all-new Picanto sales in Europe. Kia UK says that the Picanto accounts for almost one in six of their UK sales with retail buyers accounting for 82% of purchases. Grade ‘2’ is expected to be the biggest seller and the choice of 42% of customers, and the new GT-Live variants with their sportier body style kits could be responsible for 30% of future Picanto sales. Kia also say the 1.0 litre 66 bhp engine will remain the most popular, but they are optimistic about demand for the yet to arrive 1.0 litre T-GDI 99 bhp engine. Based on an all-new platform, in line with customer requirements the new model is no larger overall than its predecessor, with a length of 3,595 mm (11.79 ft) and it’s 1,595 mm (5.23 ft) wide but it is 5 mm (0.20 in) taller at 1,485 mm (4.87 ft). However, to create more interior space and boot capacity the wheelbase has been extended to 2,400 mm (7.87 ft). The boot space goes up from 200 litres (7.06 cu.ft) to a class-leading 255 litres (9.00 cu.ft) and this increases to 1,010 litres (35.67 cu.ft) with the rear seats folded down. In addition the longer wheelbase improves on-road handling and gives a slightly more compliant ride. 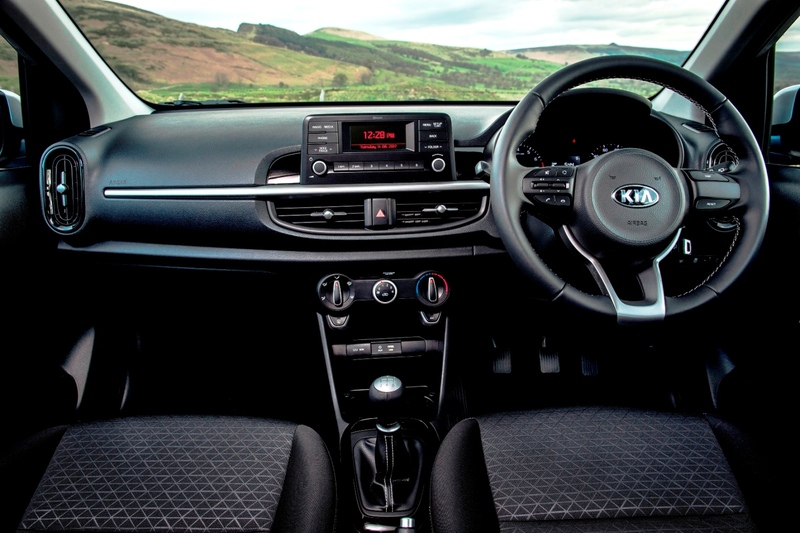 Inside, the all-new Picanto follows other recent new Kias with a horizontally-structured dashboard split into display and control areas, separated by a satin chrome trim strip which emphasises the cabin’s width and the car’s strong, stable stance. Vertical ventilation outlets at the outer edges of the dashboard act as bookends for the instruments and display areas. New materials and trim enhancements emphasise the significantly improved quality of the all-new Picanto. The seats are in black cloth, premium black cloth or black and red faux leather, depending on model. There are black, silver paint or satin chrome door handles; and leather trim is used for the steering wheel and gear-lever from grade ‘2’. ‘GT-Line’ and ‘GT-Line S’ have larger front and rear bumpers and red highlights within the upper grille and side air intakes, along the side sills and in the lower rear bumper, which contains a diffuser section and twin exhaust tailpipes. They also have the black and red faux leather upholstery, satin chrome interior door handles and stainless steel pedals with non-slip rubber inserts. The ‘GT-Line S’ and grade ‘3’ versions are distinguished by a 7-inch centre-mounted ‘floating’ touchscreen, giving access to the navigation, infotainment and connectivity systems, which include integration with Kia Connected Services powered by TomTom and Android Auto and Apple CarPlay via apps pre-loaded onto a smartphone. With price, exterior design, value for money and equipment key areas for customer choice in the latest City Car sector, Kia confidently expects the more stylish, more spacious, sportier and more modern newcomer to increase its market share significantly in the next few years. I have just had a brief first UK test driving spell behind the wheel of the latest Picanto in its 1.0 litre 66 bhp three cylinder normally aspirated petrol engine form with grade ‘2’ specification – so this is potentially going to be the best selling version and its priced at £10,750 on-the-road. Apart from its attractive price, with a Combined Cycle fuel consumption figure of 64.2 mpg and low CO2 emissions of 101 g/km, running costs will be low – as will the Group 5 insurance rating. The new VED road tax costs £140 each year and the few company car drivers who might choose this model (most will be retail buyers) will pay 19% Benefit-in-Kind tax. All customers will enjoy the peace-of-mind seven years/100,000-mile warranty. 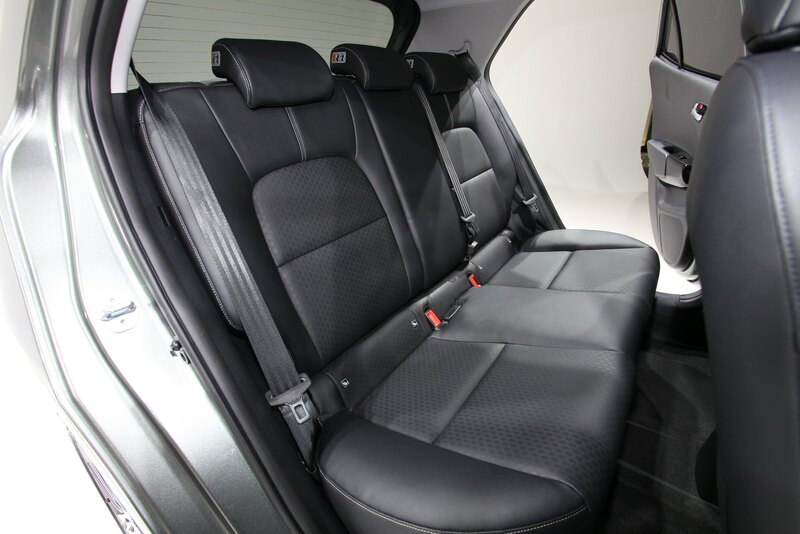 The fresh new looks and upgraded interior with higher specification are all welcome changes as are the extra millimetres/inches contributing to a shade more interior space and a bit more load-carrying ability. Being only five door versions now, the new Picanto models are more user-friendly, giving easy access for passengers or loading shopping bags onto the rear seats. Specification for this ‘2’ grade model includes power steering, stability control, central locking, 14-inch alloy wheels, air-con, electric front and rear windows, electrically adjustable door mirrors, AM/FM radio and front and side airbags. Most noticeable whilst driving about the winding Cotswold roads was the sharper steering and the marginally better ride comfort. Also noticeable was the quieter ride due to improved sound insulation. It seemed to me the new Picanto has grown up, but not grown too much in size. It remains an ideal City Car, good for commuting and the occasional longer journey although for those owners doing longer motorway trips I would recommend the larger and more powerful 1.25 litre engine, until at least the 1.0 litre T-GDI turbo unit comes along. The 1.0 litre 66 bhp engine I tried is fine for lower commuting speeds and pottering around but with only 96 Nm (70.80 lb.ft) of torque available from a high 3,500 rpm its response for acceleration was limited, and going up steep hills required more high engine revs than felt comfortable – and full use needs to be made of the gearbox. This version has a top speed of 100 mph and zero to 60 mph takes 13.8 seconds. During my road test driving on rural roads and a trip into the nearest town the real-life fuel economy figure was 48.6 mpg – somewhat less than the official 64.2 mpg figure. I suspect that the larger 1.25-litre engine could do better than that, as it has to work less hard. In town driving is where the new Picanto works best, it’s neat and nimble in the handling department, its compact length makes it easier to park, the improved interior specification, comfortable seats and good visibility makes those long periods stationary in traffic more bearable. The new Picanto is significantly better in all areas than previous generation models but remember it is a City Car and size and performance matters on some occasions. For: Improvements throughout, cheeky smart exterior looks, higher grade interior, improved ride comfort and handling, more comfortable seats, low running costs, long warranty. Against: Limited engine performance in terms of response and acceleration during open road driving. Kia Picanto ‘2’, 1.0 manual 5-Door. Engine/transmission: 1.0 litre, three cylinder, non-turbo petrol engine, 66 bhp, 96 Nm (71 lb.ft) of torque from 3,500 rpm, five speed manual. Performance: 100 mph, 0–60mph 13.8 seconds. Fuel consumption: Combined Cycle 64.2 mpg (48.6 mpg on test). Emissions and taxation: CO2 101 g/km, VED road tax £140, BiK company car tax 19%. Insurance Group: 5. Dimensions/capacities: L 3,595 mm 11.79 ft), W 1,595 mm (5.23 ft), H 1,485 mm (4.87 ft), boot/load space 255 to 1,484 litres (9.00 to 35.67 cu.ft). Five doors; four/five seats.